During this past week we took a trip down to LA to watch the Kings open up their 2014-15 season by raising the Stanley Cup, have a chat with our new cousins at The Royal Half and have a chat with Violent Gentlemen. This article is about their cool company and how they have helped me greatly with the Nation Network. You have been forewarned in advance. Anyone looking for Corsi/Fenwick6 calculations should skip this piece. Since NationGear launched in 2013 we have been learning about how to run a clothing line. It isn’t something that we had thought we would be doing in our life time – given my tastes in clothing usually extends to rapper tee shirts, Oilers stuff and jeans. But in an era where revenues are hard to grind out, we want to make a wicked clothing line that sets the bar for design and quality and stands the test of time. 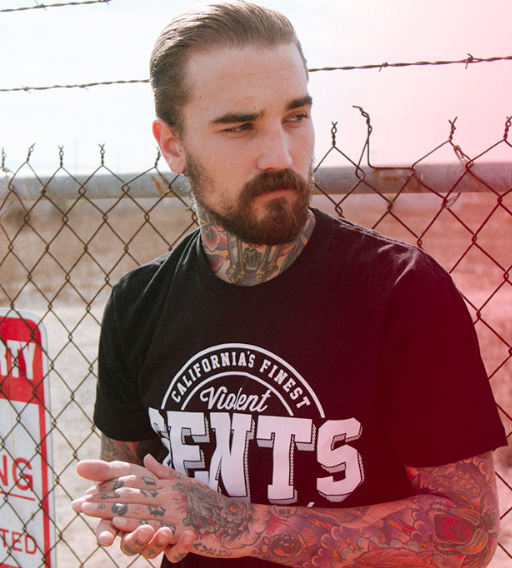 There aren’t exactly 10,000 companies vying for business in the Edmonton Fashion District* so we made contact with what we consider to be the best hockey related clothing line – Violent Gentlemen out of California. The guys were super nice and we arranged a meet and greet for last week at their facility in Orange County. 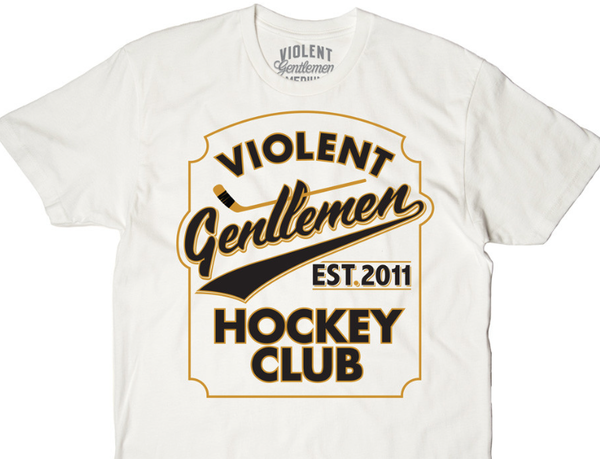 No exaggeration: Violent Gentlemen is the best independent sports & lifestyle brand I have seen. I heard of them because one of their partners is George Parros of moustachioed pugilistic fame and have followed them on social media for a couple of years. All of their designs are super fresh, their marketing is funny and celebrity-filled and they just do a great overall job. So colour me terrified when we rolled into their meetings and there were both partners – tattooed from here to next Thursday, beards to the floor and muscles for days. And right in the centre of the room – The Mayor himself, George Parros. Thank heavens I had brought my pal Brian Sutherby. In case things went sideways we had a plan where he would throw me out the window and slug his way out of the room. Instead, the Violent Gentlemen were heavy on the Gentlemen and avoided the Violence altogether. We discussed a great many ideas, they walked me through how they operate and toured me around their warehouse and Fantasy Factory-esque offices. It was very kind of them to take time right before their fall launch to talk to some posse of clowns from Canada. Did I mention that they were covered in tats and George Parros was staring at me with his terrifying glare? Who the hell am I to argue with them? I’ll tell you who I am. A fake-named rapping/hockey blogger named Wanye. So news flash: their line is dropping for the new season and it is the best there is. Go take a look at their sweet gear here. As a thanks for checking out their site your ol’ pal Wanye will buy the first 10 people 1 item of their choosing. ****UPDATE**** We’ve reached the first 10 people. That ought to buy me some time when the fellas realized I pumped their line against their wishes and come hunting for me. WWYDW: Do We Really Need To Talk About Patrik Laine? WWYDW: What Are Your Ideal Lines? Sheldon Souray wears their gear. That, in itself, means it’s pretty cool and definite magnet material. I was also following them on the ol twitter and decided when they had their enforce brand for all teams that I would indulge. 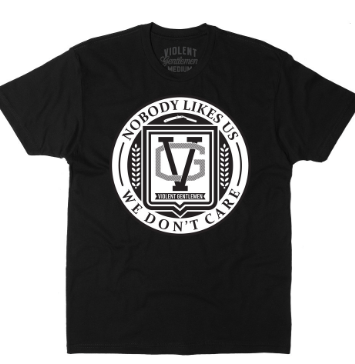 I bought an enforce Edmonton tee and a nobody likes us we don’t care tank. Hell they threw in an old Ron Tugnutt card for good measures. Their products shipped within 24 hours and arrived within the week. I proudly wear their products (along with the nations of course) around our great city. Glad you are promoting their brand here as well. I’m looking forward to purchasing more. Bet ya Trevor Gillies has one. The dude with the neck tattoo served me a Big Mac meal yesterday. 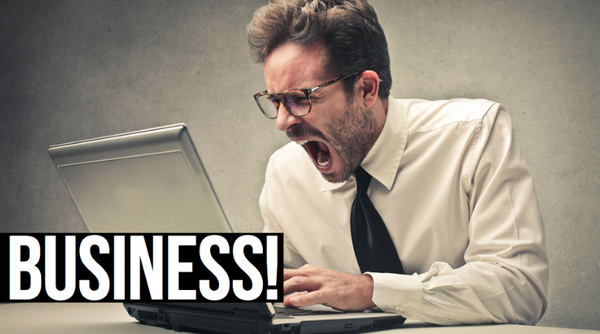 “Oh gawd please less free stuff!” – said no one ever. Damn me and running into work might have missed out. Crossing fingers. The brand looks like I might like em. Is there a persona that best fits the Violent Gentlemen image? Or can one go about their skinny-4-eyed-computer-nerd business while rocking such a tee? …too funny… asking for a friend … no I think not…you’d get your face punched just as this old 6foot3inch 230lb pacifist like me if you wore this gear! Let’s make it 11! Gimme free SH*%!!! Parros is one brainy pugilist. Judging by his interviews and CV he’s one of the smartest and most interesting NHLers in the last decade. No one likes us, we don’t care. Straight from Millwall…..not sure if I love it or hate it. I would wear ON clothing if i wasn’t banned one time for a few months also had a few of my posts deleted so I don’t wanna be enjoying my cool new t-shirt from ON then the next day be banned for something i said on this site. I would feel like such a idiot for ever wearing ON brand in the first place, i don’t want too put myself in that position. VG does indeed make good gear. As a bit of a hockey lifestyle aficionado I place them in the upper echelons along with IronHead for quality and limited production coolness. you are right then… it’s NOT funny! The next great trend in douche wear following a proud heritage of Tap Out and Ed Hardy. I would just like to add: Nail Yakupov is awful. What happens if you run into a real violent gentleman? 174.3.62.140	Oh Gawd! Please less of this crap and more hockey. Please? 174.3.62.140	Just Wow! I only read Lowetide’s post on here this morning and the first comment was on the third page. Did it have any relevance to Lowetide’s words on Yakupov? None. Instead I see some assinine, pseudo political posts on leftists and cycling, ad nauseum. What a bunch of idiots! Go the the Edmonton Sun’s website and troll there. The posters there spew out baloney in a much more eloquent fashion than here. That is all. Please decide on one name before submitting your next insightful post. Thanks. Oh please, this site is 99% hockey content and this gear is hockey related….perhaps, in the future, you should just try skipping these posts and not waste your time with useless complaints. Lol, chill out mr. Ur ridiculous.